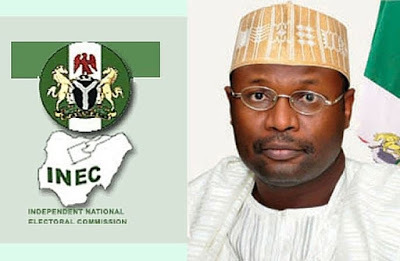 The Independent National Electoral Commission, INEC, has postponed the February 16 Presidential and National Assembly elections. The polls will now hold Saturday February 23. This was one of the decisions reached early Saturday morning in a meeting INEC chairman, Professor Mahmood Yakubu, had with the 12 national commissioners in Abuja. Addressing the media at about 2:45am, Yakubu explained that the shift was mainly due to logistics problems faced by the commission. “Following a careful review, the commission came to the conclusion that proceeding with the elections will not be feasible”, he said. Yakubu explained that the decision was taken in order to give the nation a free, fair and credible exercise. “Furthermore, the Governorship and State Houses of Assembly and FCT elections will hold on Saturday March 9”, the electoral chief added. This is not the first time that the commission would postpone a scheduled general election. In 2015, the Presidential Election was shifted from February 14 to March 28th, 2015; while the Governorship and State House of Aassembly and FCT elections scheduled for 28 February were shifted to 11 April.